Aluminium doors are an excellent choice for any home. Their contemporary aesthetic is modern and stylish, and they will improve both your home security and energy efficiency levels. 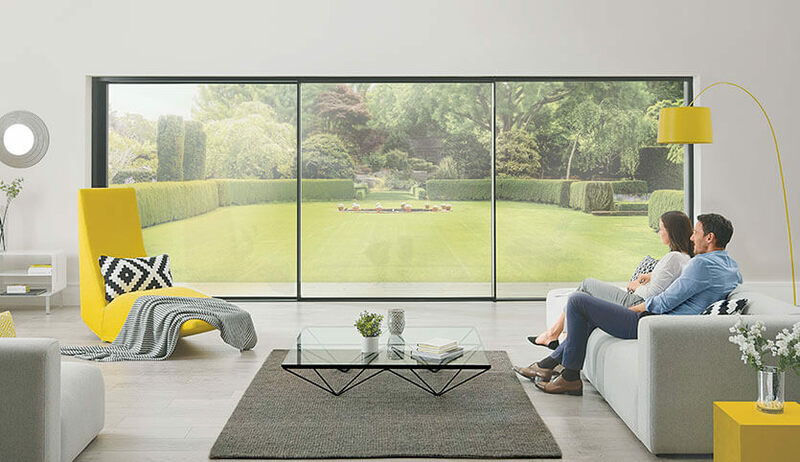 From entrance doors to patio doors, our aluminium doors are a cut above the rest. Aluminium is an inherently strong material. Its natural composition makes it the perfect material for constructing strong and hard-wearing doors. 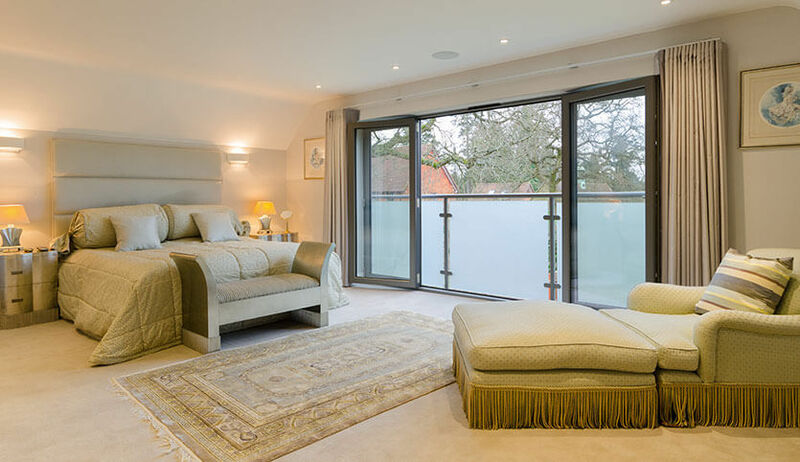 Its strength means that large sections of glazing can be easily supported. This makes it perfect for creating large sliding patio doors, oversized windows, and bi-fold doors. Aluminium is lightweight, so installation is hassle-free. It is corrosion resistant, making it a good choice for use in coastal homes where the salt air can be a problem. 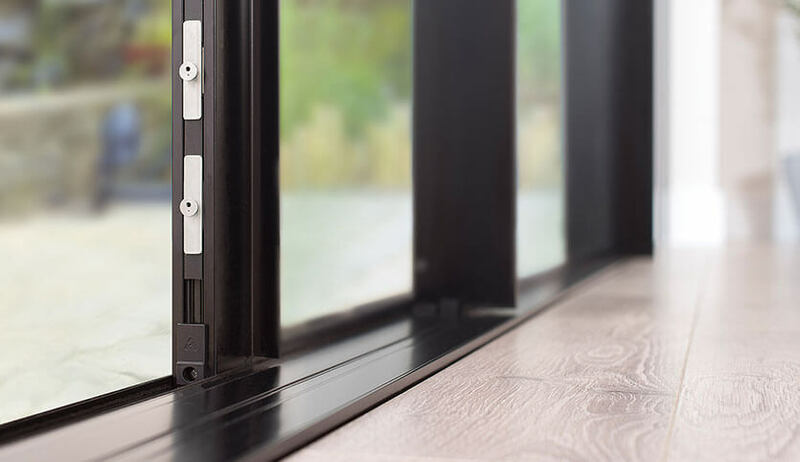 Our aluminium doors feature polyamide thermal breaks to boost heat retention. Heat transfer is significantly reduced, maximising your home’s efficiency levels. At FineLine, our aluminium doors are finished with a durable powder coat. Choose from over 150 RAL colours for the ultimate in personalisation. For a more traditional look, choose one of our authentic woodgrain effect finishes. Aluminium doors are available with your choice of two different threshold options. For easy wheelchair and pushchair access go for our low threshold option. If weather protection is your priority, our raised weathered threshold will keep you protected from the elements. 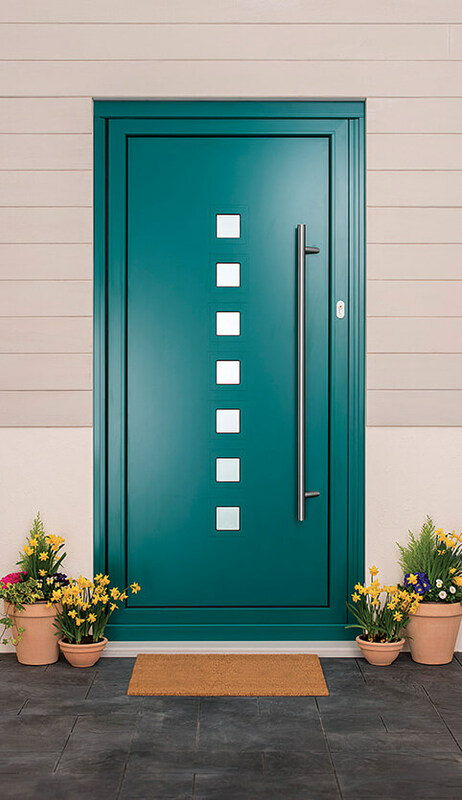 Our aluminium doors are available in any RAL colour. With our ‘Kolor bond’ system, you can customise your door’s colour to perfectly match your home.